Richard Collins is an example of how giving back can come full circle. He had a mentor through the Norwalk Mentor Program from 3rd grade through 6th grade, until his mentor moved out of the area due to work. 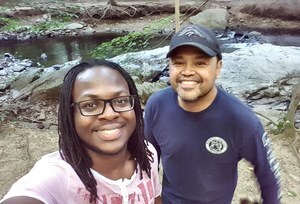 Fifteen years later, Richard has become a mentor in the program and wants to help a child grow and succeed, just like he did. 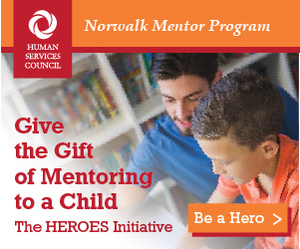 In order to provide mentors to more students, the Norwalk Mentor Program established HEROES (Helping Enrich Relationships of Every Student) which allows someone to sponsor a mentor/mentee match and be involved in a different way. “A HEROES sponsor can provide additional support, without the commitment of meeting a child once a week”, says Nancy Pratt, Director of the Norwalk Mentor Program. “It helps the program grow so that we can match more mentors with students”. Consider becoming a HERO and make a difference in a child’s life, whether you are a company or an individual who wants to give back to their community.